It seems sensible to suggest that a period of readjustment is on its way. Not really because of the toils with bat and ball in Australia (I still think we have a reasonable chance) but because the natural lifespan of a team is coming to an end. As suggested elsewhere on the board, the inability to get a serious contribution from our seventh batter, opener and third seamer since the beginning of 2012 suggests that there might be a bit of a fall off in quality beyond the first eight picks. This whole picture is complicated by the struggles on the pitch during that time, which now appear hard to ignore. England have an ageing and tired looking team, even among the eight. If I award one of the number six/spare opener/number three to Root, who looks likely to have a bright future (though his similar mannerisms/movement to Atherton make me irrationally fear years ahead of him standing as the lone impediment to another England collapse) that leaves nine tenants of first team places. Let me add Bresnan and Carberry for arguments sake. Though Carberry I see as adding to the problems of a team needing to build for the future, and with Root actually showing signs of life in that position in the summer, I thought he should have stayed there. This lines up as the side, and I've identified needs for planning. A slash suggests a need for longer term change. A double slash suggests more imminent change, and italics, a question mark over quality, or serious loss of form. So I've identified Broad (who carries a permanent injury) Cook and Root as players to carry us into the foreseeable future. Next level. I think Bell will be able to play for a while. After his superb summer Ashes there is an acceptance that Ian Bell as an irrefutable recent success of the team. But since 2012, he's really only had that one good series, though with some other sporadic performances. Nevertheless, I see Bell as having a medium term future, and my hunch is that he may have some of his best years. We can add Bresnan to this group based on age, though the doubt is over his quality, therefore I will add him, but italicised. Prior would be in the same position as Bell, as a player with a few more years on the clock. His form currently makes it difficult to to know whether he can deliver on this potential. So I will italicise him too. So, Cook, Root, Bell, Broad, Bresnan, Prior. Can play for the longish term. Beyond that level, we have Carberry, who complicates everything by being a new player who is old. He's a potential Simon Katich figure in that he's a player you might want to look past with a view to rebuilding, but may well hang around, and may be better than alternatives. My view is that his selection was a mistake and just creates a problem for later. I would have kept Compton, but can't go back to him really, for the same reason as my objection to Carberry. So Carberry is someone who needs to be replaced in the medium term, but I will italicise him as we don't know yet if he is good enough. Likely to go in the short to medium term are Swann, Anderson and Pietersen. Anderson hasn't had a great year, but he still has had very good days. He looks tired and down on pace and hasn't been preserved well over the years. Swann has had a very good year, and is an England phenomenon, but he too is injured perpertualy and is 35. Pietersen says he wants to go on, but his decline seems to be becoming quite entrenched. His 2013 hasn't been good, though he was superb in 2012. He scored a ton at Old Trafford, which no one remembers. So, Pietersen, Anderson, Carberry and Swann can play for the medium term. We need to identify alternatives to them now. On the next level there's Trott, about whom it is difficult to make any predictions at all. Except he needs to be (and is) replaced in the short term. Then there is the issue of who will carry out the change. James Whitaker is Chairman of Selectors, and Ashley Giles is a selector. Another position will be filled to replace Whitaker's previous role. More importantly, will Flower stick around to overhaul the side a second time? Presumably Cook will be given the chance to develop his own side, rather than the one he inherited from Strauss. There's no need for them to suddenly wield the axe, but there are changes ahead, and probably results will suffer. I don't know who should come in and take the spare spots, but if we remove Trott from the team, these are the ones who are hovering over a place. Anderson/Don't know, but he'll need to bat at 8 if Monty and Finn are coming in. Tremlett might be playing in his last series. Difficult to know what will happen with Rankin, as he's a specialist pick for this tour, but he's not playing. We need a second spinner for places where we'll need a second spinner. Big shout out for the Hainiacs. Nineteen already. Maybe he'll get a game for his county this year. Getting a bit distant now, but they've been in Lions squads in the last 12 months. 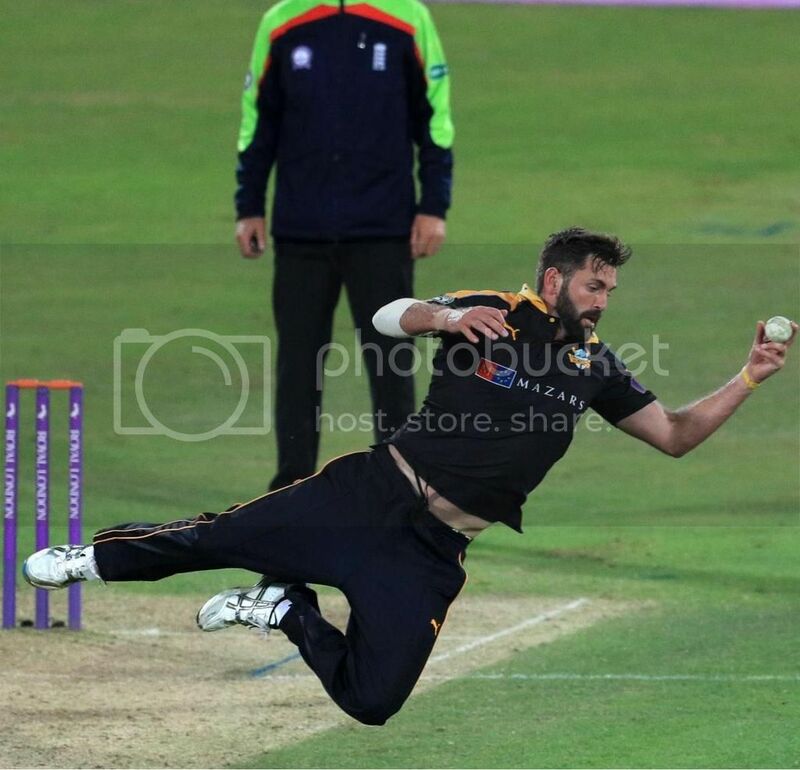 So has Liam Plunkett though. I think what we'll see when the time comes is a mixture of prospective youngsters, combined with county stalwarts who might have some form of international experience. For example Martin Bicknell and James Kirtley weren't in the England team for long but they more than did a job against South Africa in 2003. With the amount of talent in the County Cricket circuit, I feel any transitional phase from England will be similar to that post Ashes 2002/3 and pre Ashes 2005 where a squad became a work in progress. So you're quite optimistic? So why so difficult to get new players to do well for England recently? Moeen Ali for a reliable top order bat and second string spinner? Yes, I like age 26-28 for a batter. It'll be a good idea for him to have a good CC this year. This is partly the consequence of central contracts which discourage experimentation with the result that a team can grow old together and suddenly be no longer fit for purpose. Analysis of individual strengths and weaknesses are futile at this level, as they can, and do, change. Accepting that teams with similar resources will always take turns to gain ascendancy over each other is the more sensible and less angst-ridden approach. But they still have to make plans for the future and identify talent. Arthur Crabtree wrote: So you're quite optimistic? So why so difficult to get new players to do well for England recently? One thing that does strike me is England are not flexible in their line up's, hence constantly looking for a number six bat. James Taylor and Joe Root are wasted at number six and should be fixed higher up the order, in the medium term they are going to bat 2-4 anyway. Why not stick KP at six as a counter attacking bat? If the new boys do well, then it takes the pressure off KP who can play his natural game and smash it all over the park ala Gilchrist. If England are struggling, then KP will be able to use his nous and experience to guide England to recovery. Seemed to work for Durham who stuck Scott Borthwick and Ben Stokes right at the higher middle order, whilst Collingwood and Mustard batted at 6 and 7.